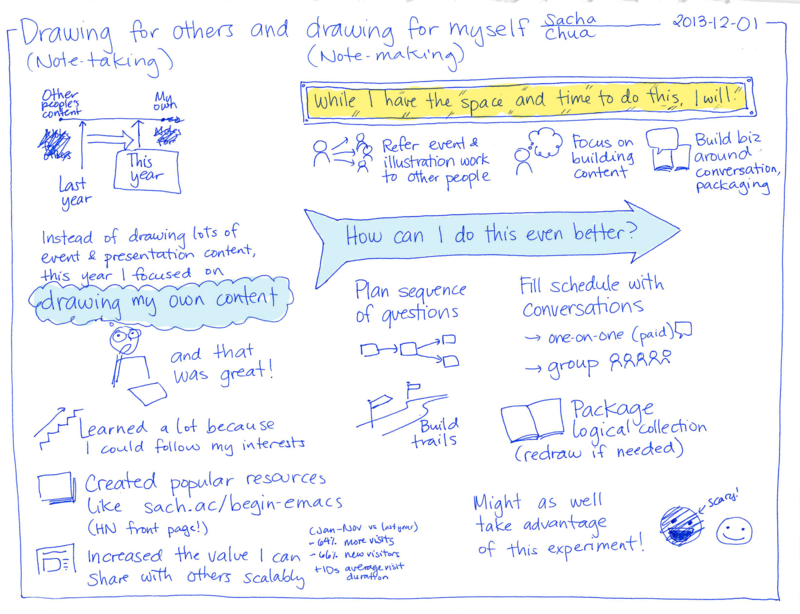 If 2012 was the year of sketchnoting lots of other people’s presentations, this year was the year of drawing my own thoughts — and I loved it. There was a brief lull mid-year when I was focused on consulting, but now that I’ve made drawing my thoughts a step in my thinking/learning process (like the way writing and blogging are), I draw and post a lot more regularly. I really liked focusing on my own content instead of drawing other people’s ideas. For questions that helped me think out loud, I followed my interests and learned a lot more. 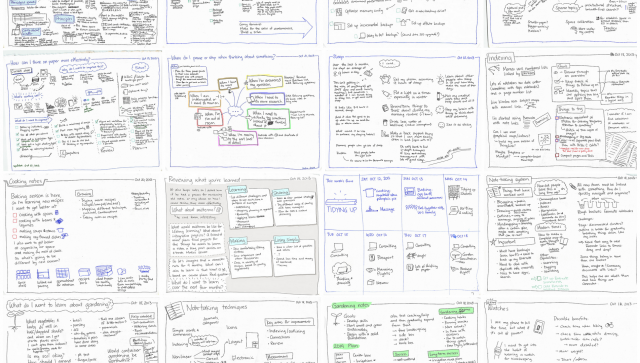 For things that I drew to help others, I found myself building up a great archive of one-page guides that I could quickly share with even more people. 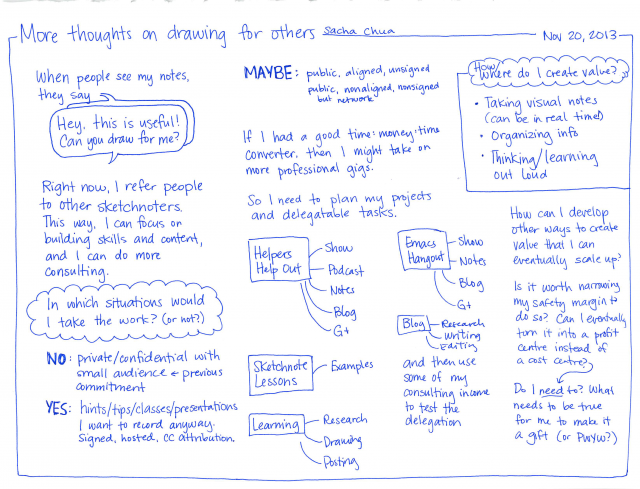 In 2014, I’m planning to continue drawing my own content and refer requests for sketchnoting to other people… I’ve got the opportunity to do so and people find it useful, so why not? =) If you like what I’m doing, help me out by sharing your questions with me through blog comments, e-mail ([email protected]), or live conversations!